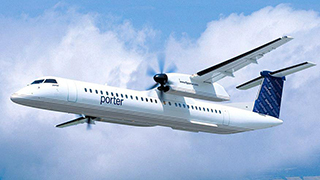 Porter Airlines is introducing a new entry-level fare class on select routes, which it says is designed to meet increasing demand from travellers wanting to choose from a range of prices and service options they most value. To ensure that passengers choose the product that meets their needs, Porters says clear indications of key Basic fare class features are noted throughout the booking process. Complete fare class details are available online. All passengers, regardless of fare class, received PD’s complimentary premium services, including beer, wine and snacks onboard, and lounge access in select airports.